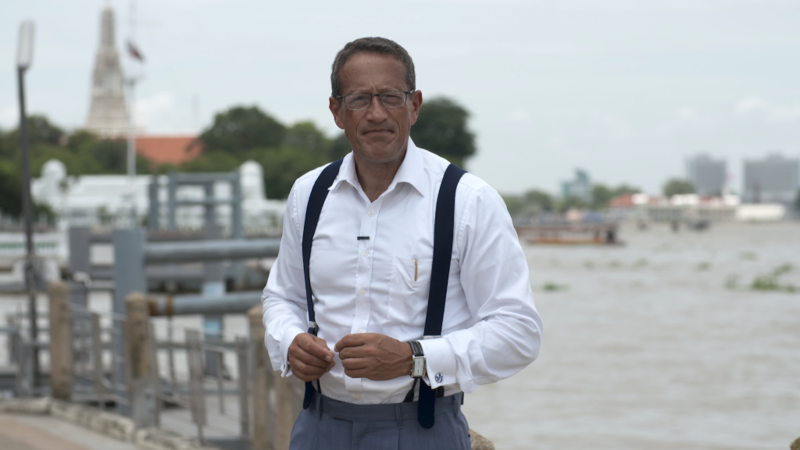 I am in Thailand on assignment ... where once again I am amazed at the energy and dynamism of Southeast Asia. I am also witnessing how this country is truly at a crossroads. Take tourism: It's a mature industry more than a half-century old. This year Thailand will welcome a record 35 million international visitors. Now, the tourism minister wants to shift the emphasis from the quantity to the quality of tourists coming. The minister told me she wants to increase the length of stay, and the amount of daily spend from visitors. That's not to say Thailand won't remain a haven for backpackers, but the country also wants to attract medical and wellness tourism along with higher spending luxury guests. What perhaps is most remarkable is how the country is sustaining its tourism industry while at the same time facing a terrorist threat. A bomb blast at a Bangkok shrine two years killed 20 people. Tourism has also survived the military coup in 2014. With no sign of civilian rule coming back anytime soon, tourists seemingly don't mind the current lack of democracy. Just last week there was the bizarre story of Yingluck Shinawatra, the former prime minister who absconded from justice. Having been convicted of malfeasance in office, she escaped across the border before she could be sentenced. A scandal, to be sure, on many levels. Even the monarchy is on an uncharted path following the death last year of the much-revered King Bhumibol Adulyadej after a 70-year reign. Throughout all of this, tourists continue to flock to Thailand to enjoy the chaos of Bangkok, the beaches of Phuket and the mountains of Chiang Mai -- and that doesn't seem likely to change anytime soon. The land of a thousand smiles is still grinning, no matter what happens. The most expensive disaster of all time? Hurricane Harvey is shaping up to be one of the costliest natural disasters in the nation's history. Two estimates on Wednesday put total losses at as much as $75 billion. The number may well climb. Warren Buffett noted that much of the damage has hit uninsured property. "It destroys wealth," he said. 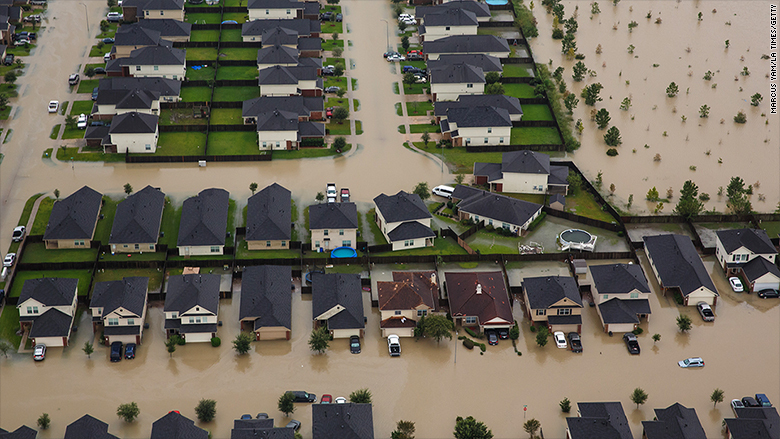 The storm and its fallout are also testing the limits of the nation's flood insurance program, which is roughly $25 billion in debt. How rebuilding plays out will affect how many city residents choose to stick around -- a decision with long-term effects for Texas and the nation's economy. Population levels affect the number of jobs available and, ultimately, a city's economic power. 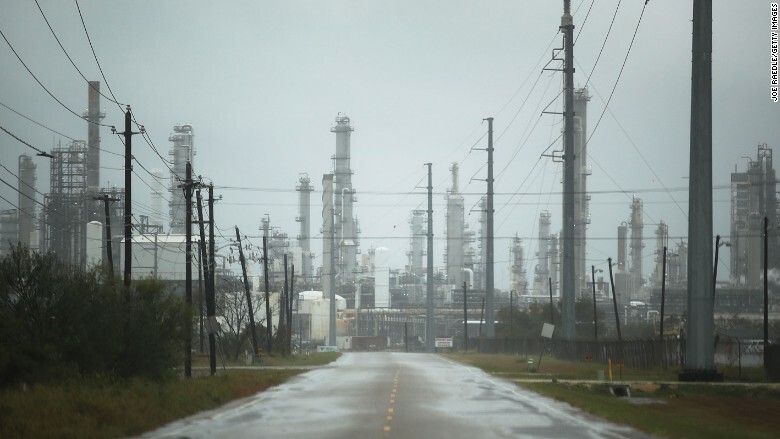 The largest oil refineries in the U.S. have been forced to close due to Harvey's catastrophic flooding. Early Wednesday, Saudi Aramco moved to shutter its Motiva facility in Port Arthur, Texas -- the biggest such plant in the country. Overall, closures have knocked out about a quarter of the nation's refining capacity. Gas prices have climbed 10 cents a gallon, leading the U.S. to tap an emergency stockpile of oil. A European flotilla is currently on its way to the U.S. with millions of gallons of gasoline to keep prices from spiking further. North Korea: What's left to sanction? 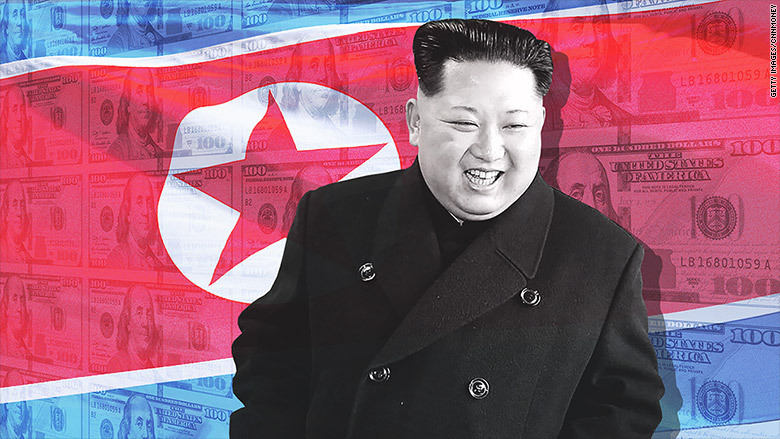 North Korea continues to threaten its neighbors -- and even briefly rattle investors. This week, North Korea fired a missile over Japan and warned Guam may be next. The incidents raise the odds of more sanctions. But what's left after the recent UN sanctions? New targets may include North Korea's textiles exports, oil imports and links to Chinese banks. China holds the key here. China's tough response to South Korea's deployment of a U.S. missile defense system shows that Beijing can crack down on its neighbors -- when it wants to. So much for the dollar reaching parity with the euro. Defying predictions of its demise, the euro has spiked 13% against the greenback this year. That makes it the best major currency of 2017. It's also up big against the British pound and Swiss franc. Investors have flocked to the euro because Europe's economy looks rejuvenated and fears of anti-European populism have faded. The other key: The U.S. dollar is struggling as hopes of massive tax cuts have eased. Jobs, jobs, jobs: The U.S. economy is growing at the fastest pace in two years and the labor market looks very healthy. Friday's 8:30 a.m. ET government jobs report is expected to show another 180,000 jobs were created in August, keeping the unemployment rate at a 16-year low of 4.3%. Harvey-fueled slowdown for auto sales? The historic flooding from Harvey forced the shutdown of countless auto dealers around the Gulf Coast. That could lead to weaker auto sales figures when August numbers are reported on Friday from Ford (F), General Motors (GM) and other manufacturers. In the long run, Harvey may provide a jolt to the auto industry because up to half a million vehicles in Houston may be lost to the storm.